Having a remote workforce has become more of a necessity and less of an option for growing organizations. Whether hiring outsourced professionals or providing more flexibility to in-house employees, enabling remote access to business systems and applications can significantly increase productivity to benefit your business. However, when not properly secured, employee remote access can create several security issues for your business. And with cybersecurity risks on the rise every year, it’s vital that companies take proactive measures in protecting their digital assets. Here are four crucial strategies for securing employee remote access in your organization. Most IT security models are designed to keep intruders off of a network, but once access is gained, security levels are lifted and users are trusted by default. A zero-trust security model requires strict identity verification – each and every time, and through a variety of methods -- regardless of whether access is granted inside or outside a private network. An underlying principle of a zero-trust security model is establishing least-privilege access permissions. This means that all users on your network are only granted access to specific areas of a system, and on an as-needed basis. While this method can be time-consuming to configure, it also helps to minimize potential security issues by maintaining a disciplined approach to user authentication. Another important way to secure employee remote access is through proactive planning and by establishing risk-based security policies. Threat modeling and system penetration testing are both examples of risk-mitigation procedures that can protect your business from outside intruders posing as verified employees. These protective measures begin with taking account of all your digital assets and the people, applications, databases, and technology that support them. Risk assessments look at your potential threat landscape and plan countermeasures in the event your systems are penetrated by malicious sources. This is a great way to identify gaps in your current security and find ways to incorporate a better, more secure environment for your remote employees as well as local users. Multi-factor authentication (MFA) is becoming the new standard in online security. 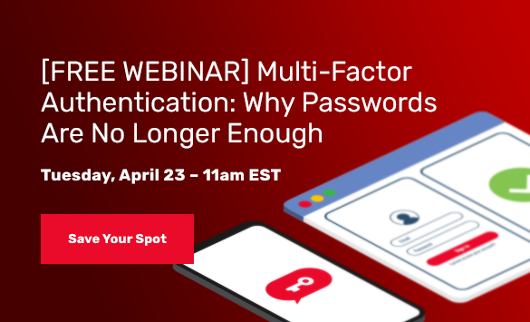 It is also referred to as two-factor authentication, or 2FA, and is an enhanced security measure that requires users to provide two or more credentials to access systems or accounts. Since passwords and pins can become compromised over time, MFA requires that users also verify their identities through a mobile device, landline, or other 3rd party tool or service. Since remote users typically use different login devices and access business systems from various IP addresses, MFA helps to track and recognize strange patterns in usage. If a discrepancy is recognized, these security systems can demand additional authentication when necessary as well as deny access until an administrator verifies the user. Desktop and laptop computers, mobile phones, and IoT devices can all have access to important business information, especially in business environments that have a BYOD (Bring Your Own Device) policy. From a data management perspective, all of these devices are considered “endpoints,” and can be a gateway for system access from authorized or unauthorized parties. In larger organizations, having multiple endpoints can create opportunities for data breaches and other forms of cyberattacks. It’s important that companies exercise due diligence in recognizing and securing these endpoints accordingly. Endpoint security focuses on identifying every device that accesses a system and maintaining transparency while they’re connected. By utilizing third party solutions, organizations can scrutinize the connecting device to ensure that it meets minimum standards in order to connect to the network. Is the firewall enabled? Is the anti-virus running and up to date? Is the VPN client the correct version? If the minimum standards are not met, the device can be denied access or quarantined to apply the required updates. Maintaining a secure business network is crucial for every organization, especially those that enable remote access to their systems. By following these crucial strategies in securing your networks, you can benefit from increased productivity levels while ensuring your systems stay protected.